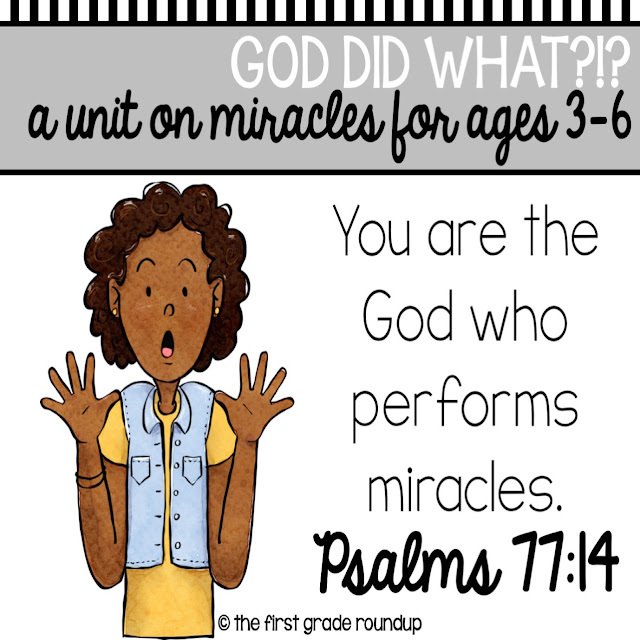 In Sunday School, our preschoolers have been learning about God's miracles through our God Did WHAATT?!?! unit and they are LOVING it. Sometimes, as an adult who grew up in church all of her life, I become immune to the awesomeness of God's miraculous powers. But spending time with 3 and 4 year olds and watching their eyes light up at these amazing miracles has given me a fresh appreciation for God. 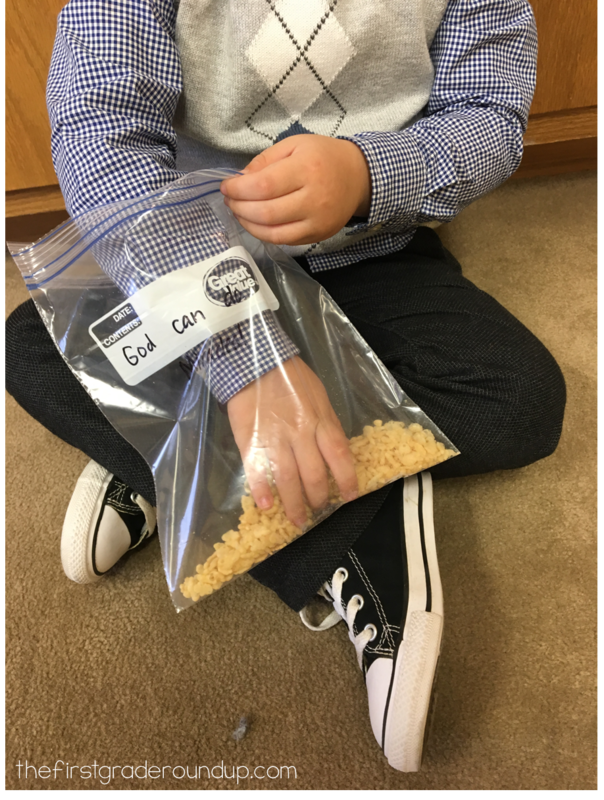 This week we learned about the miracle of God sending manna for the Israelites to eat while they were in the desert. I wanted to share the game we played because it was a HUGE hit for my kiddos and helped them really understand this miracle. I used brown craft paper and put it down on the floor as our "desert." Before class, I filled a bag full of Rice Krispies as our flakes of manna. You could use small oyster crackers or cornflake cereals, too. Then, I gave each kid a "tent house" area around the desert to stay in. 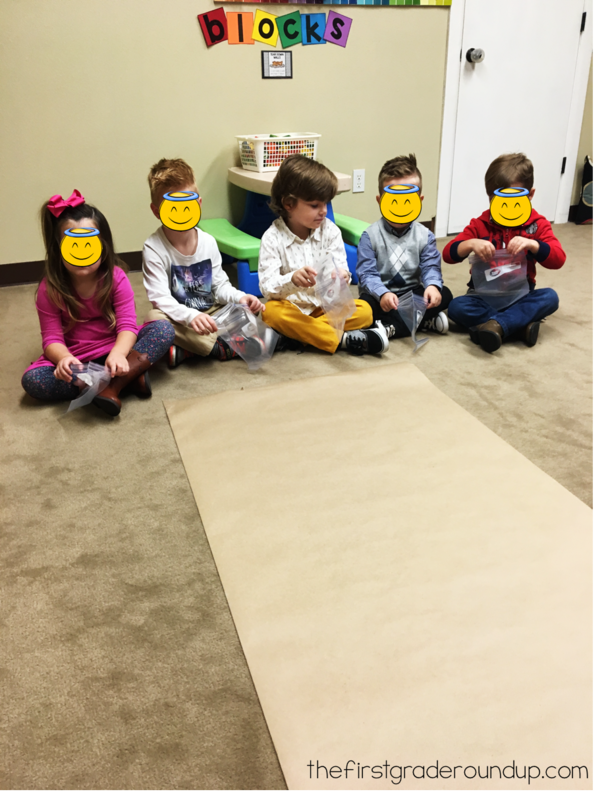 They also each got a bag to use as a basket to collect the "manna." 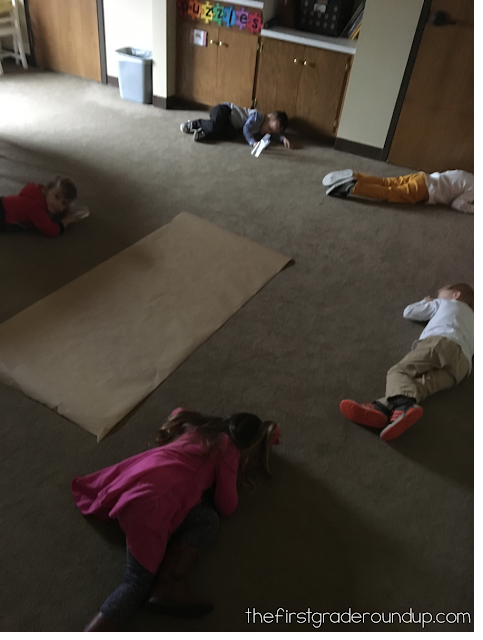 Next, I turned off our lights for night time and they each went to sleep in their "tents." When I turned the lights back on it was morning time. 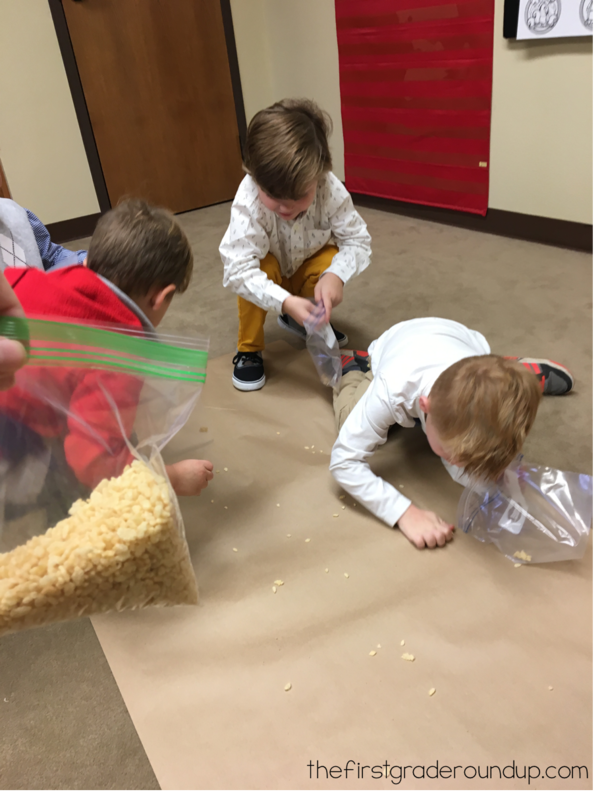 The kids got up and collected the Rice cereal off of the desert ground and put it in their bags. I reminded them that God said to only collect enough for their day and not too much. Once they thought they had enough for the day, they returned to their "tent" and ate their manna. After the first round, some had too much manna so they had to empty their baskets so they wouldn't have any left overs for the next day! 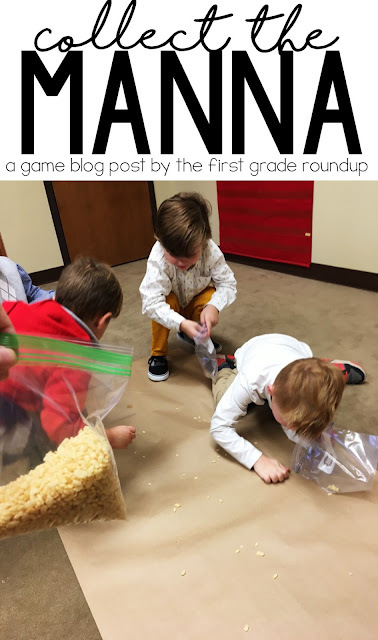 We played 3 rounds of this and then I added some more manna to their bags at the end! Here's a little video of it to watch the game in action! We had so much fun playing this game and I know it really made this Bible story more memorable for my preschoolers. You can check out this lesson, plus the entire unit here!